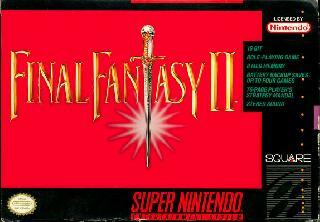 This was originally released as Final Fantasy II in North America. It's a really good game and I love to follow Cecil and Rosa (their US-release names) on their adventures! The weapons are nice, with some things that will become a common carryover to other Final Fantasy games, the combat is typical of JRPG's, and the story is intriguing. No spoilers though! Now you can add videos, screenshots, or other images (cover scans, disc scans, etc.) for Final Fantasy II (USA) [Bug Fix by Deathlike2 v1.0a] (Yang's HP Fix) to Emuparadise. Do it now! If you haven't noticed yet, we have a retro game of the day feature (top-right of the screen) wherein we feature a new retro title every single day! Now, you can vote for your favorite games and allow them to have their moment of glory. 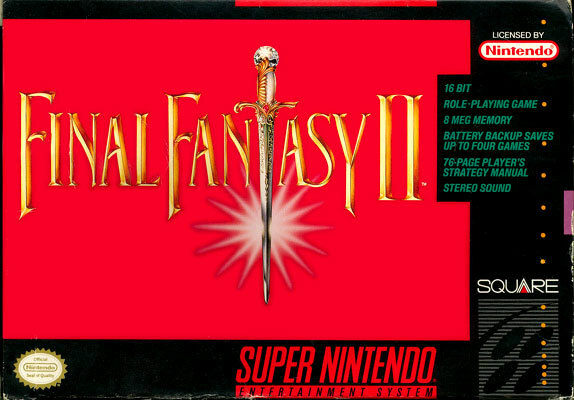 Click on the button below to nominate Final Fantasy II (USA) [Bug Fix by Deathlike2 v1.0a] (Yang's HP Fix) for Retro Game of the Day.